I played my first video game four years ago when my six-year-old son Sam was playing Pajama Sam: No Need to Hide When It’s Dark Outside. In Pajama Sam, child “super-hero” Sam—mine and the virtual one—goes off to the “Land of Darkness” to find and capture “Darkness” in a lunch pail and thereby alleviate fear of the dark. Darkness turns out to be a big lonely softie who just needs a playmate. I wanted to play the game so I could support Sam’s problem solving. Though Pajama Sam is not an “educational game”, it is replete with the types of problems psychologists study when they study thinking and learning. When I saw how well the game held Sam’s attention, I wondered what sort of beast a more mature video game might be. I went to a store and arbitrarily picked a game, The New Adventures of the Time Machine—perhaps, it was not so arbitrary, as I was undoubtedly reassured by the association with H. G. Wells and literature. As I confronted the game I was amazed. 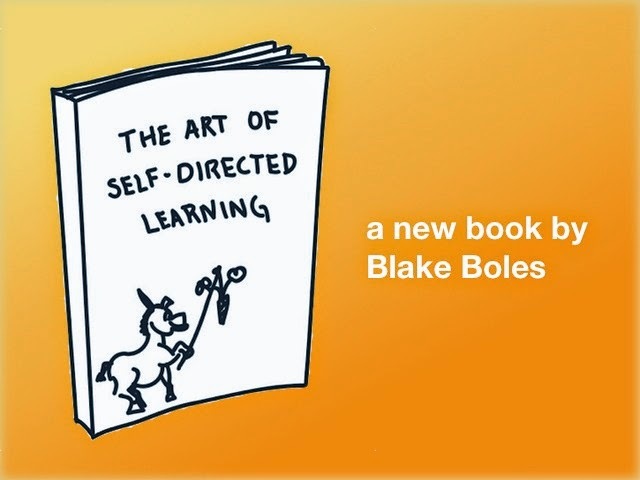 Blake is a great author and a charismatic speaker. His first book 'College without Highschool' is a great read. Happy New Year - Ein frohes Neues Jahr 2014!